Shore-based test adds momentum, confidence for upcoming carrier trials. NAVAL AIR STATION PATUXENT RIVER, Md. 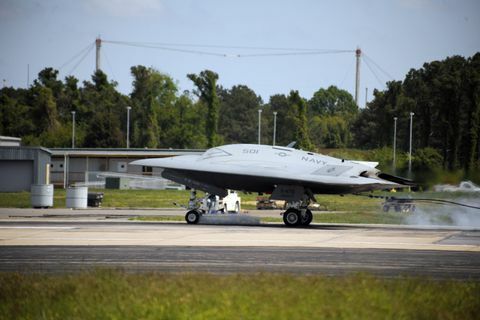 â May 6, 2013 â Northrop Grumman Corporation (NYSE:NOC) and the U.S. Navy have conducted the first fly-in arrested landing of the X-47B Unmanned Combat Air System (UCAS) demonstrator. A video accompanying this release is available on YouTube at http://youtu.be/1Z2vpnbEbXc . 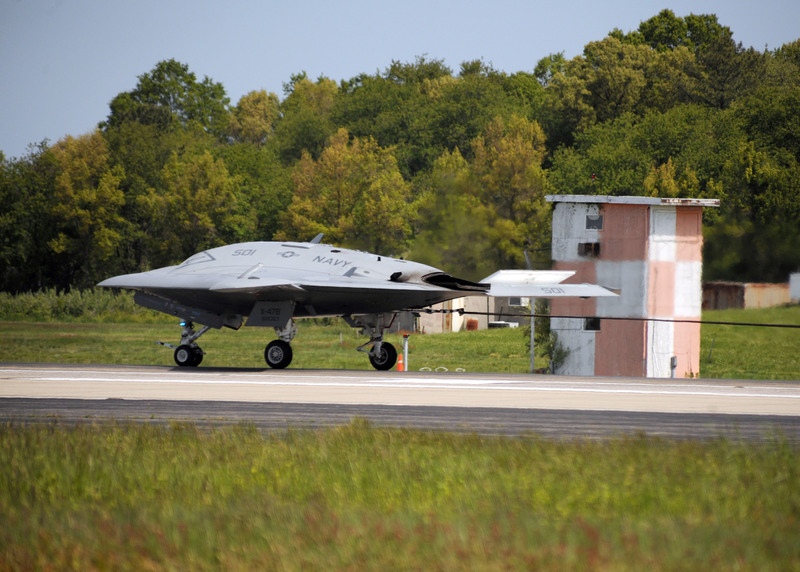 Conducted May 4 at the Navy's shore-based catapult and arresting gear complex here, the test represents the first arrested landing by a Navy unmanned aircraft. It marks the beginning of the final phase of testing prior to carrier-based trials planned for later this month. "This precision, shore-based trap by the X-47B puts the UCAS Carrier Demonstration [UCAS-D] program on final approach for a rendezvous with naval aviation history," said Capt. Jaime Engdahl, the Navy's UCAS program manager. "It moves us a critical step closer to proving that unmanned systems can be integrated seamlessly into Navy carrier operations." During an arrested landing, the incoming aircraft extends its landing hook to catch a heavy cable extended across the aircraft landing area. The tension in the wire brings the aircraft to a rapid and controlled stop. Carl Johnson, vice president and Navy UCAS program manager for Northrop Grumman, said this first arrested landing reinforced what the team already knew. "The X-47B air vehicle performs exactly as predicted by the modeling, simulation and surrogate testing we did early in the UCAS-D program," Johnson said. "It takes off, flies and lands within a few feet of its predicted path." 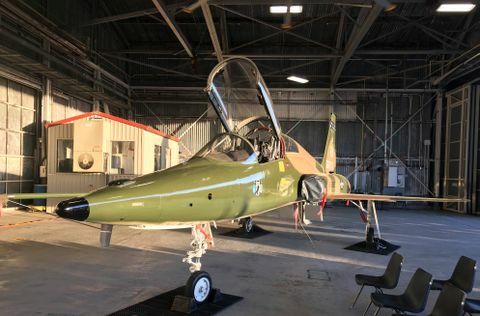 The arrested landing test culminates more than three months of shore-based carrier suitability testing at Naval Air Station Patuxent River. The testing included precision approaches, touch-and-go landings, and precision landings by the X-47B air vehicle. For the arrested landing, the X-47B used a navigation approach that closely mimics the technique it will use to land on an aircraft carrier underway at sea. Northrop Grumman's UCAS-D industry team includes Pratt & Whitney, Lockheed Martin, GKN Aerospace, Eaton, General Electric, UTC Aerospace Systems, Dell, Honeywell, Moog, Wind River, Parker Aerospace and Rockwell Collins. 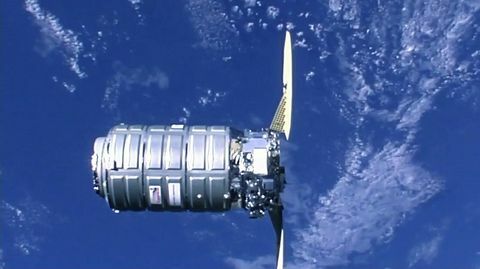 For the latest news and information about the UCAS-D program, please visit www.northropgrumman.com/X-47B .